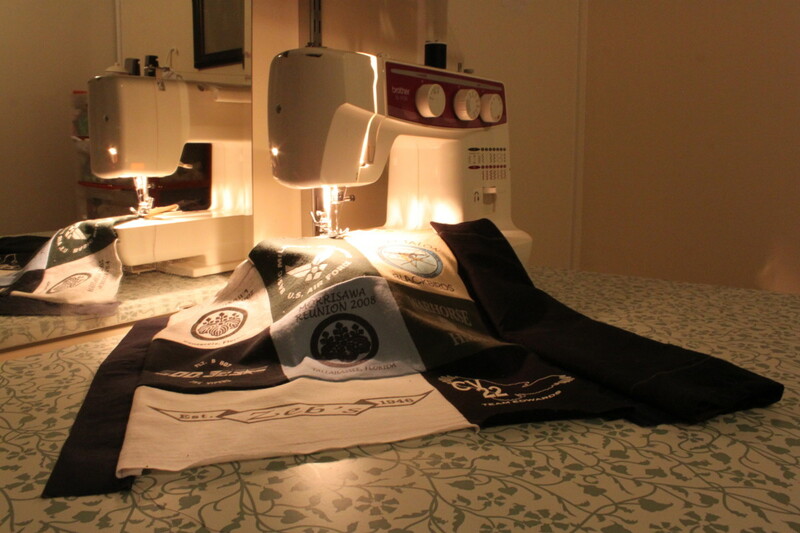 If you know how to thread your sewing machine and sew a straight line, you will able to make your own keepsake t-shirt pillows. Kids can make these too, with teens being more than capable. 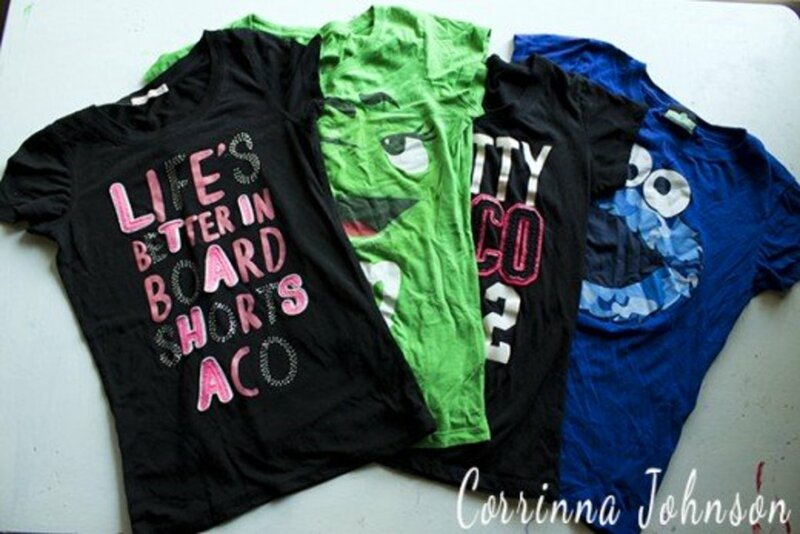 Does your teen have a stash of favorite t-shirts they no longer wear but can't bear to part with because they have some sentimental value or they just love them too much? 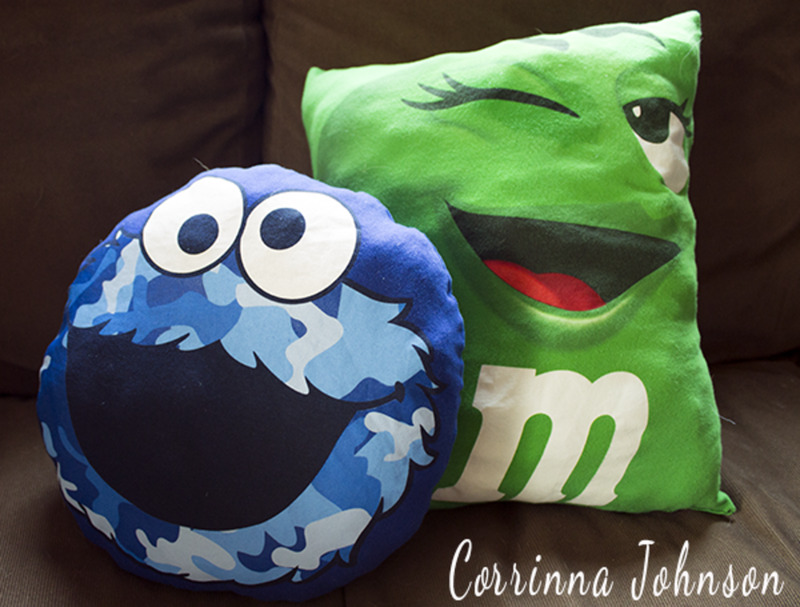 Instead of burying them in the bottom of a box, with the chance of them seeing the light of day again next to none, repurpose them into easy-to-make DIY T-Shirt Pillows. My kids have a trunk full of t-shirts collected over the years from special trips, gifts from family, sports teams and special events. 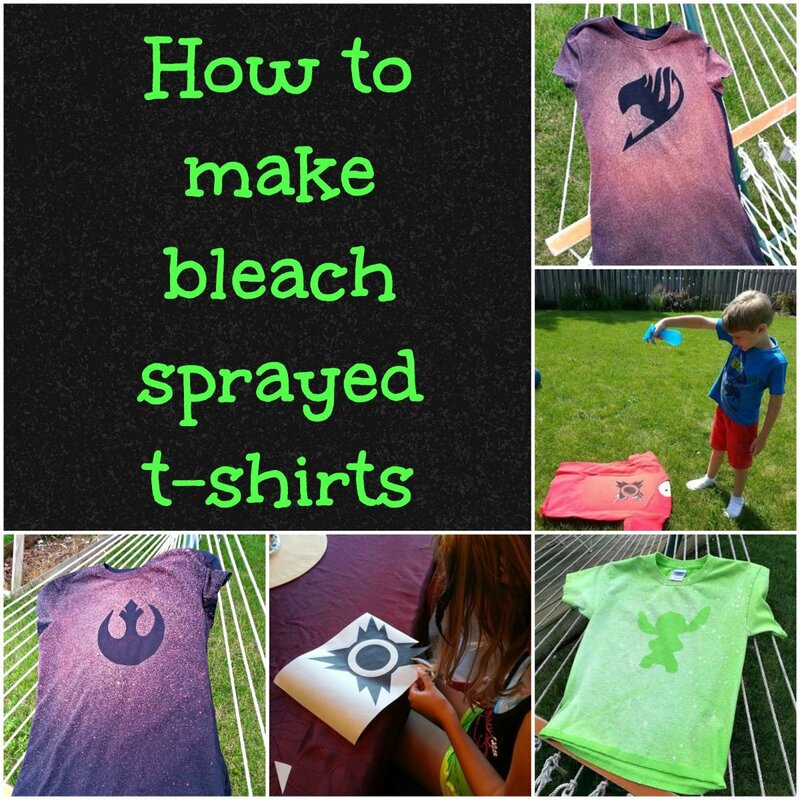 For this project, my teen daughter picked out four t-shirts that she has outgrown, choosing bright colors and fun designs that fit into the theme of her room. 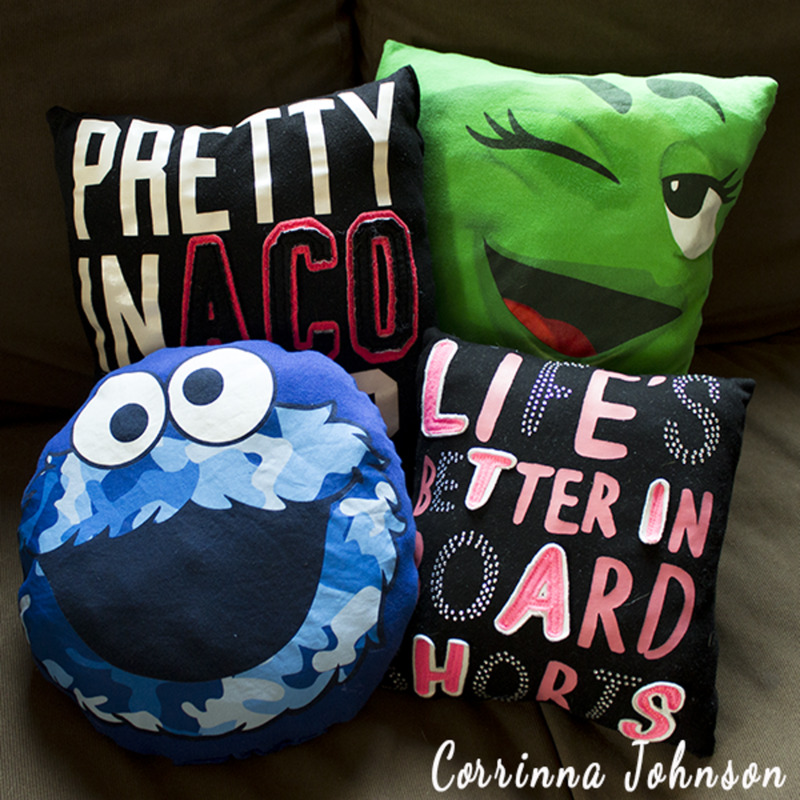 Not only are these t-shirt pillows a great sewing project for teenagers to do, they also make wonderful and unique gifts. Do you have a teen heading off to university this fall? Make them a special t-shirt pillow from one of their favorite childhood memories to remind them of home. 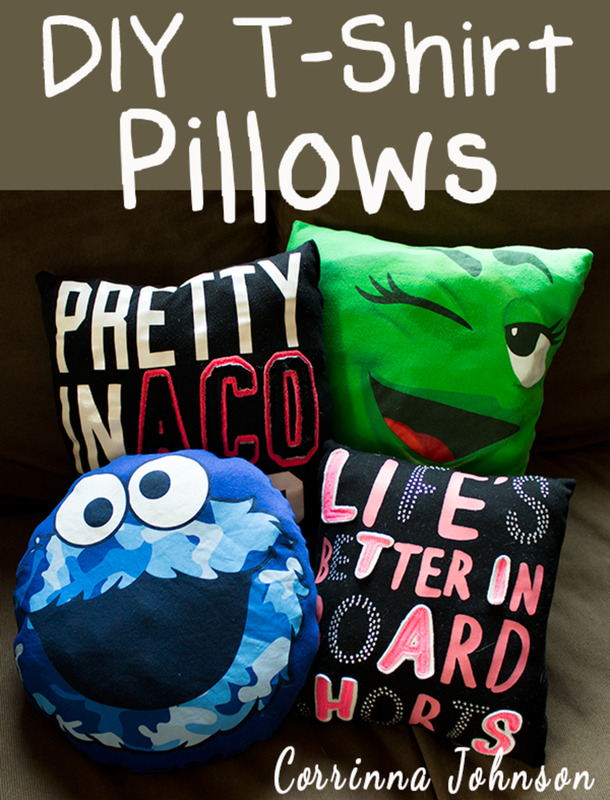 Follow along with the instructions below to see how easy it is to make these t-shirt pillows yourself. 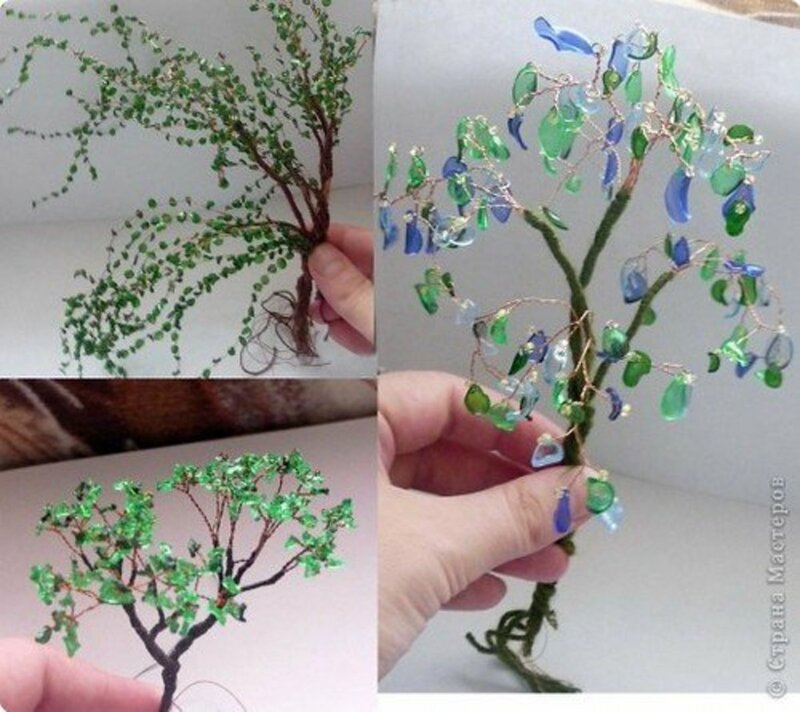 They are very simple to make and it took me less than an hour to make all four! 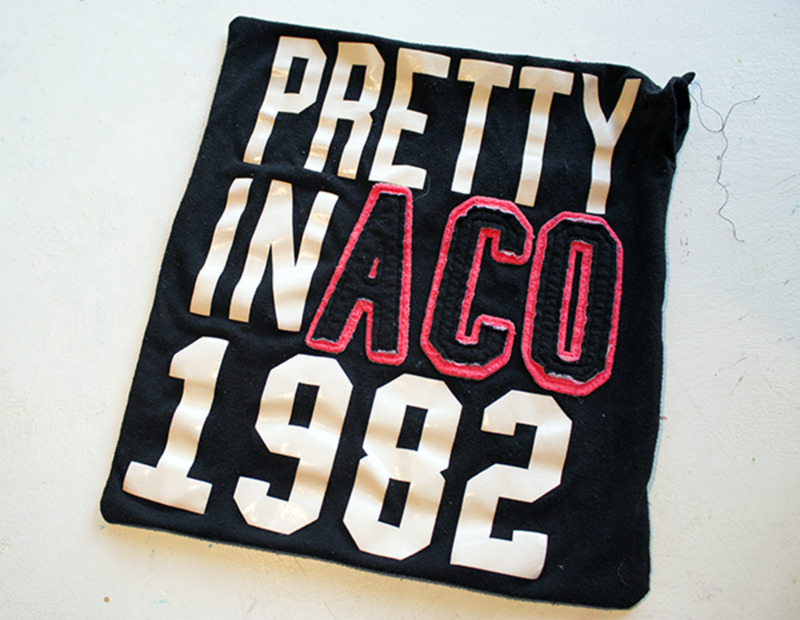 Go through your hoard of t-shirts and pick out one or a few that hold special memories or are cool in design. If you want, put them in the dryer for 10 minutes to get the wrinkles out. The ones we used were very wrinkly from sitting squashed in the bottom of a give-away bag for a couple of months. We used polyester stuffing to fill the pillows. I like to fluff up the stuffing by pulling it apart before putting in the pillows. The stuffing looks more even and you don't get as many bumps. 1. Go through your pile of favorite t-shirts and pick out one with a fun design. 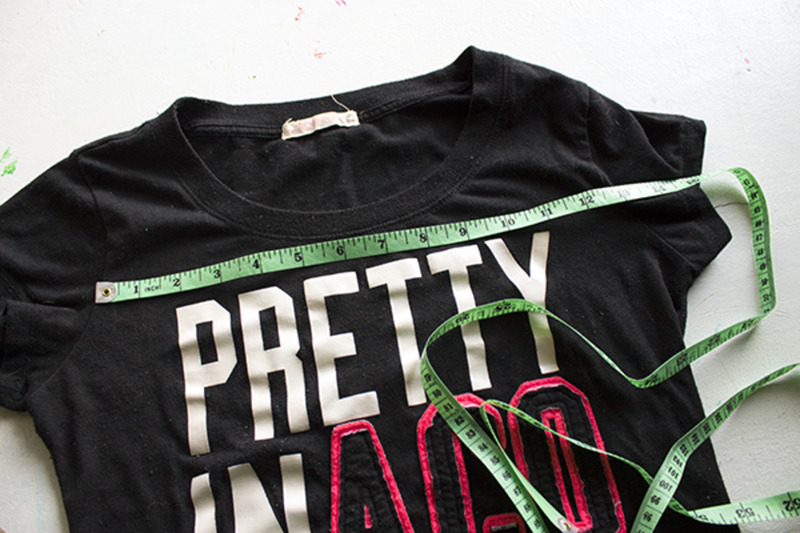 Decide on the size and shape of your design and take measurements. 2. 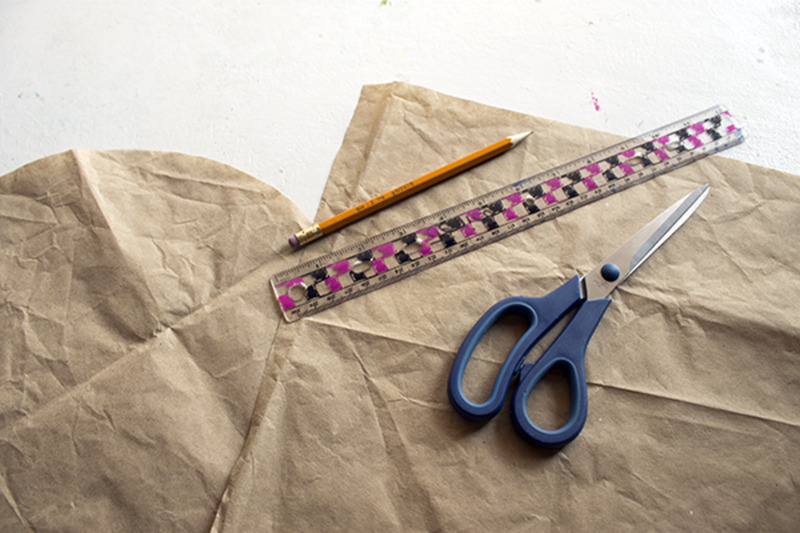 Transfer your measurements to a large piece of paper or newspaper and cut out. I used an extra large pot lid to make a circle pattern. These are your patterns. 3. Position the pattern on the t-shirt. Pin through both layers of material using straight pins, parallel to all four edges, so you can cut around the edges with a pair of scissors. 4. Cut the around the pattern and remove the straight pins. You will be left with two identical sized pieces of material. 5. 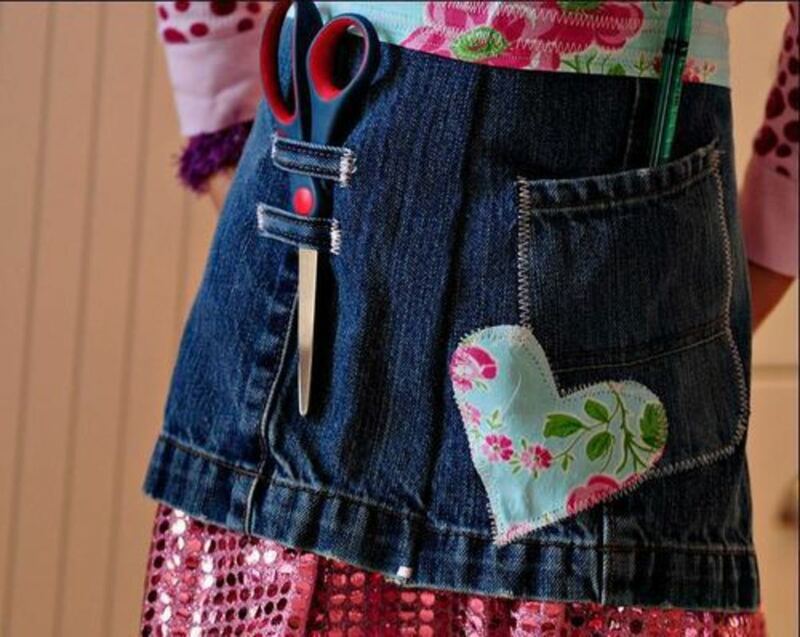 Turn the pieces of material inside out and pin together using straight pins. 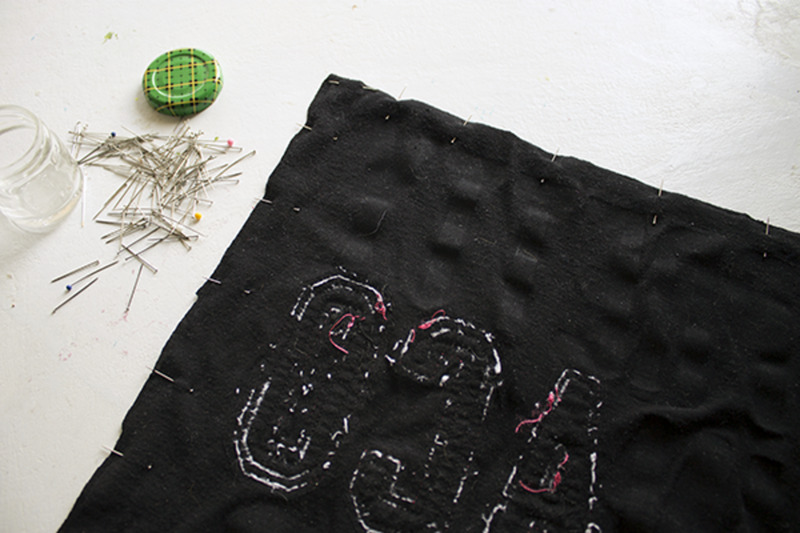 Place the pins perpendicular to the edges so the sewing machine can still run over them. 6. 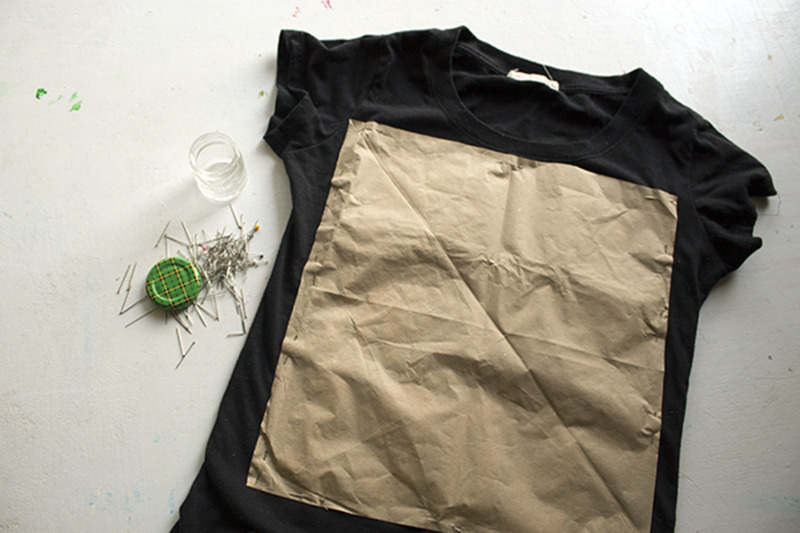 Thread your sewing machine with the same color thread as the t-shirt you are using. 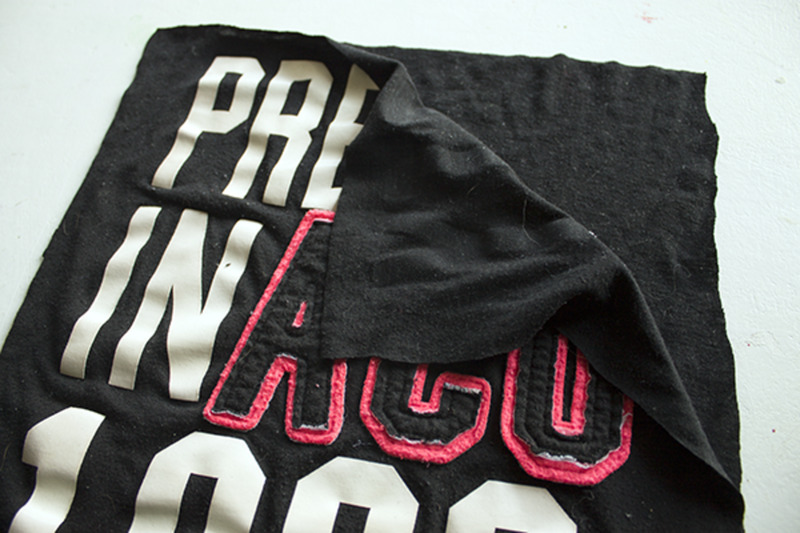 Starting at one corner, sew along the inside edge with a straight stitch, leaving about a 1/4" border. 7. 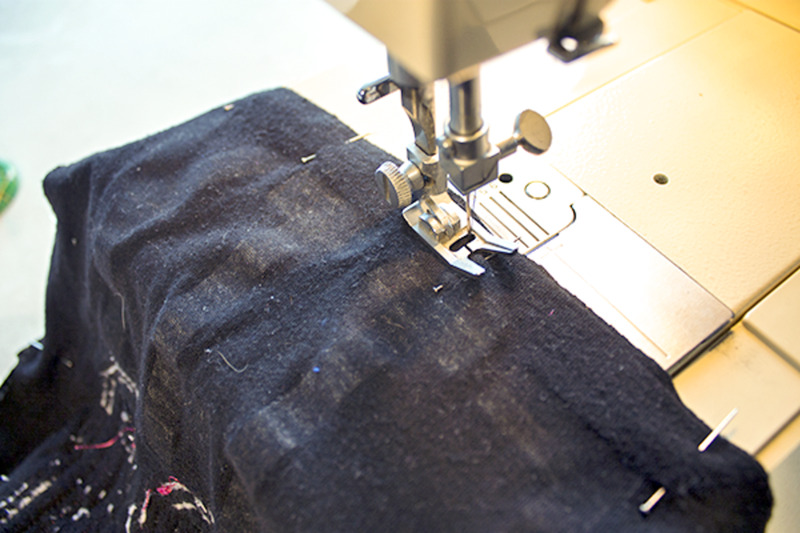 Continue sewing all four sides, leaving a 2" gap at the end for the stuffing. If you are using a pillow form, only sew up three sides, leaving one side open to insert the form. Turn the pillow right side out. 8. 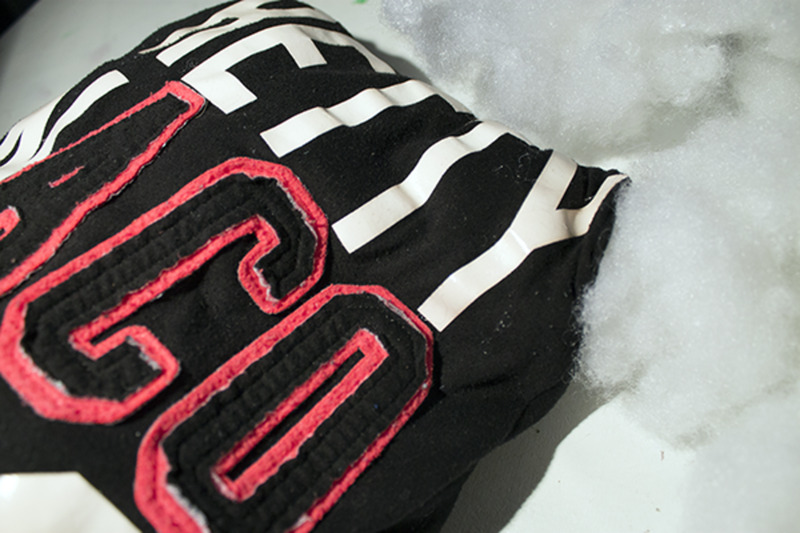 Fill the pillow with polyester stuffing, feeding it through the gap that you left. Once you are satisfied with the amount of stuffing inside, it is time to close up the gap. Thread a needle and hand sew the opening closed. Which T-Shirt Pillow Do You Like The Best? 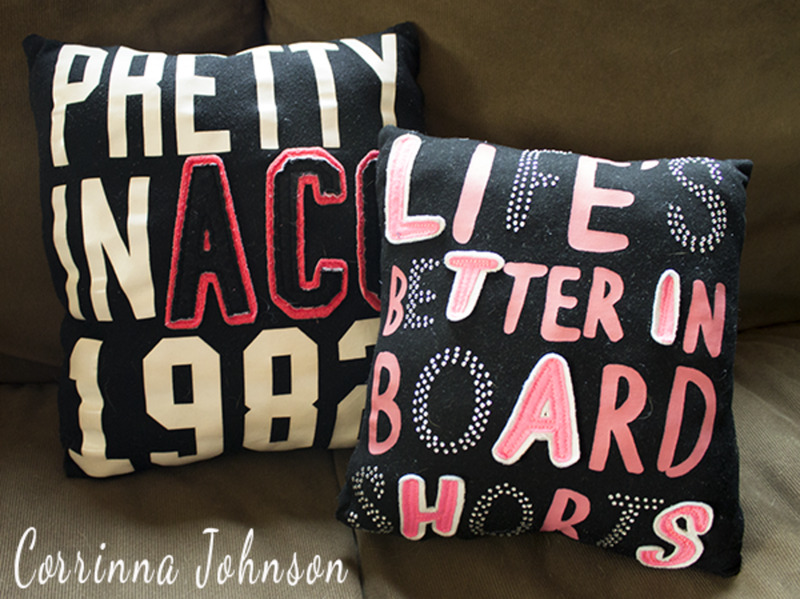 Have You Ever Made A Keepsake Pillow From Sentimental T-Shirts Before? Thanks @neosurk! They are great way to repurpose old sports and concert tees for a man cave! Wow! I just found this hub on my Pinterest feed and am so glad I did. My tshirts have now found a second life. Thanks. How cool is this lens?! I need to give this a shot. Well done! One of the fun projects to do in the future. I will share this with my little ones. This is a great idea! I have a lot of t-shirts I've been saving for a project. 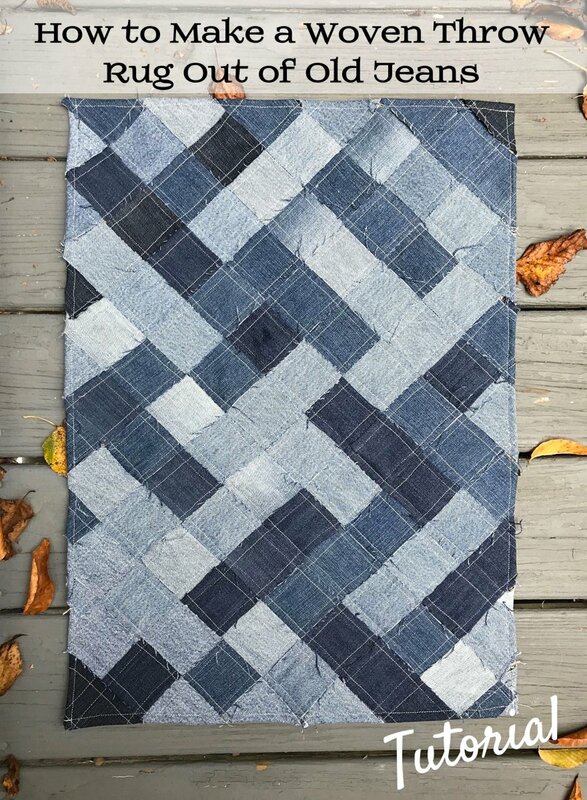 I had originally planned to make a quilt, but think this might be better. A truly creative idea, I do like it!!!! 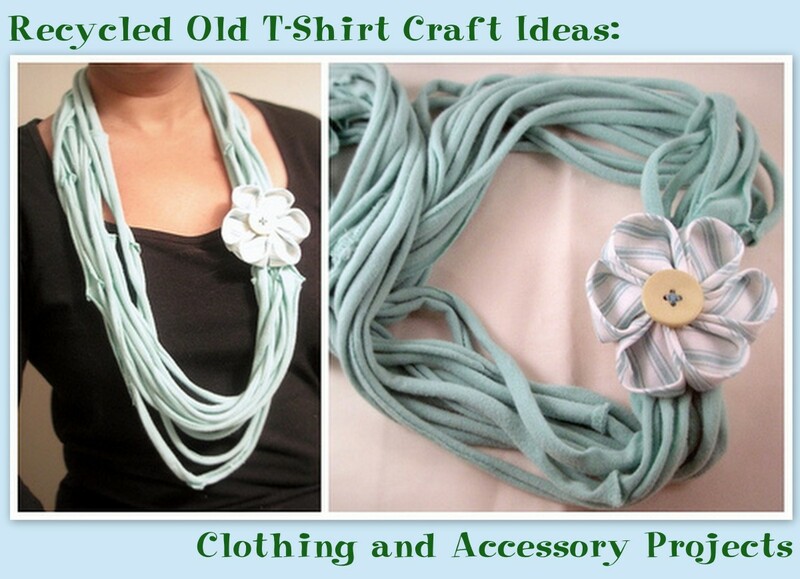 Love this new idea. All the pillows look super cute. This is so cute. The M&amp;M pillow is the bomb! Great idea. I saw one where they make a quilt out of old t-shirts but the iron on pellon backing to give it strength and less stretch. Thank might be helpful with the pillows but would take out some of the soft stretchy feel. Thank you, Corrinna, for the great idea. I have a stack of those t-shirts. Enough for the quilt I've been planning and extra for some matching pillows. Coolness! Oh nuts... now I'm wishing I hadn't given away my sewing machine when I moved. Great idea... very clear instructions. Not a t-shirt pillow, but I have made several others. 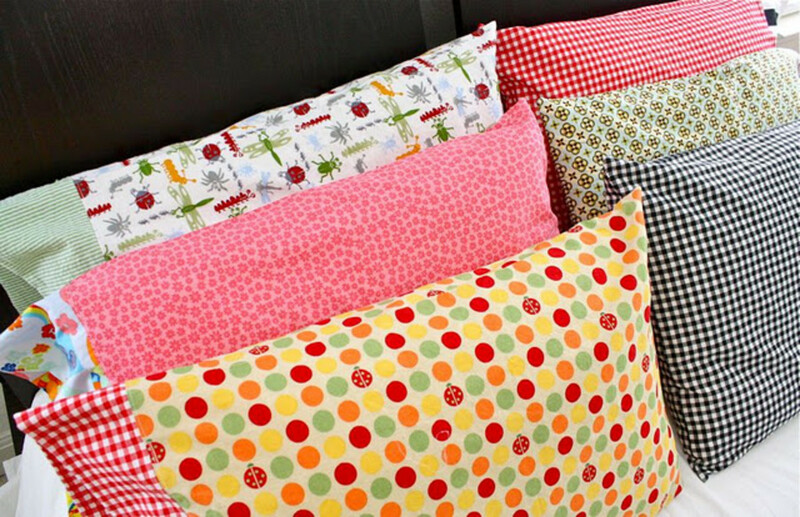 My favorites: When my children were little, I made quilted pillows using fabrics that matched the decor in their rooms. 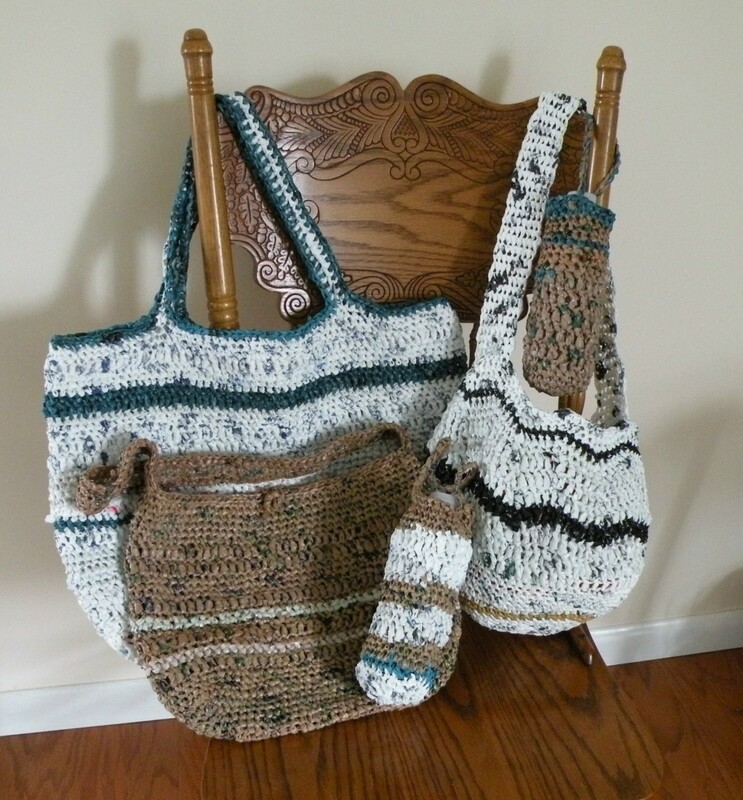 That was especially fun, but because I did a LOT of handwork on them, it also took quite a bit of time, which is not always easy for a young, nursing mom with a toddler to eke out. I spent some wee-hours-of-the-morning time on those pillows, but for the years they served us, they were worth it.